CHICAGO, Jan. 30 — Zakat Foundation of America staff braved the coldest arctic weather in a century to hand out thousands of blankets, coats, hats, socks, warm meals, water, and hygiene kits to Chicago’s homeless today. Chicago’s temperatures plunged lower than Alaska and Antarctica this morning, dropping to 22 below zero and turning the famed Chicago river into ice chunks of swirling, smoking “steam fog” that appears as water vapor condenses in the relatively “warmer” air just above a water surface. 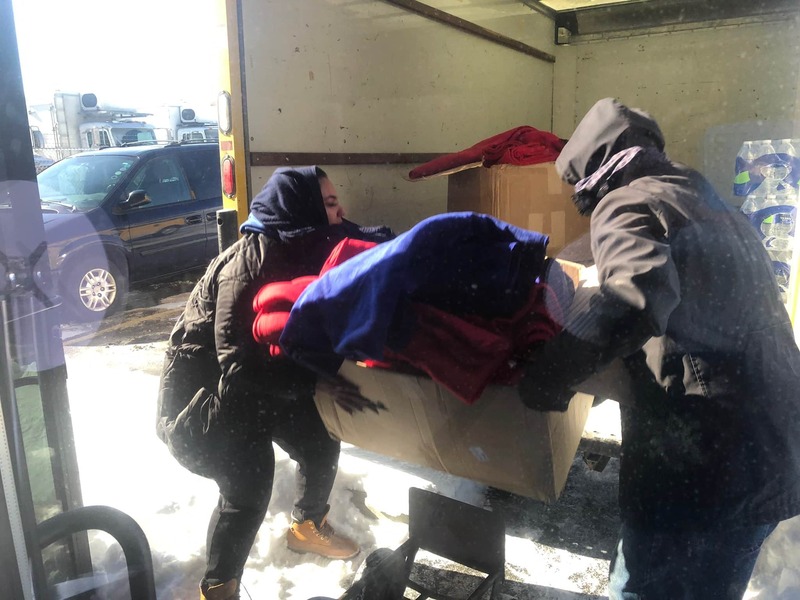 “There was no way we could stay in the warmth of our homes on this deadly cold day knowing that thousands around us in our sweet home, Chicago, needed shelter, protective covering, and hot nourishment,” said Halil Demir, Zakat Foundation’s executive director, who personally led the distribution in the midst of the frigid polar vortex. Food and drink came in the form of steamy healthful halal meat sandwiches and water bottles, as homeless recipients donned gifted winter garments and blankets. They gladly accepted packages of toothpaste and brushes, soap, shampoo, protective ointments, as well as depends and diapers, as needed. Demir stationed Zakat Foundation staff with provisions and cold-weather supplies at six key shelter locations in the city, including with the Chicago police department.